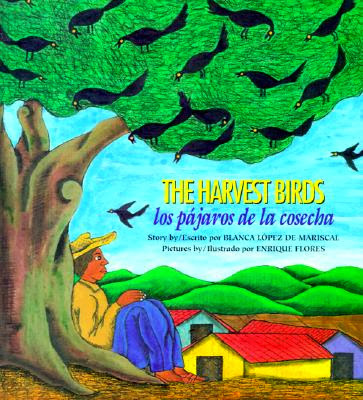 One of the birds, whom Juan calls “Grajo,” is Juan’s special friend: “There was one bird in particular who cared very much for Juan and wanted him to find his way in life.” The birds, in unison, advise Juan to “plant weeds on the borders” of the land, but Juan’s planting corn, beans and squash together appears to be an accident. OK, let’s stop here. In Indigenous traditions, wisdom can come to someone in many forms. Sometimes an elder provides wisdom. Sometimes an animal provides wisdom. Sometimes dreams provide wisdom. But here, the birds themselves provide agency for the poor guy by actually telling him what to do. This is not the way traditional oral stories go. It just isn’t. Actually, all plants do not grow well together; some plants overwhelm others. People need to know which plants grow successfully together and why. In oral stories, seeds would not be planted together so that the plants could be happy—“happiness” is not a characteristic given to plants. The Spanish pretty much follows the English, but it’s not as poorly written. For example, unlike the English, “Old people know many things because they’ve lived longer,” the Spanish, “Los viejos, porque han vivido más, saben mucho” (“Old people, because they’ve lived more, know much”) reads like a traditional dicho. The art, probably rendered in watercolor and ink on a brightly colored palette, is unappealing. The characters’ faces are often expressionless and inconsistent—sometimes Juan appears to be a young man and sometimes he appears much older. Had it been written in the form of an oral story, with lessons hinted at but unstated, The Harvest Birds would have been richer and more exciting. As it stands, it’s didactic and boring and not recommended.